Mini CDs whether by duplication or replication offer a convenient way to transport data without the bulk and hassle of a standard sized CD. 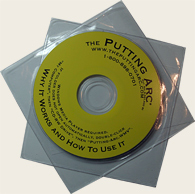 With a standard diameter of 3", these mini round shaped CDs make it easy to carry information regardless of whether it is a presentation, catalog, or even your personal resume. Standard packaging for this product is a clear vinyl sleeve, but other options are available upon request. Prices listed are per unit and are complete. There are absolutely no hidden fees. 24 - 48 hour turn time! Advertised mini CDs above hold 180 megabytes of data.